Hi everyone! Today's post is a quick swatch post about a gorgeous polish that was lying in my stash. Every month I participate in a birthday collab where the group creates some mani for the birthday girl. 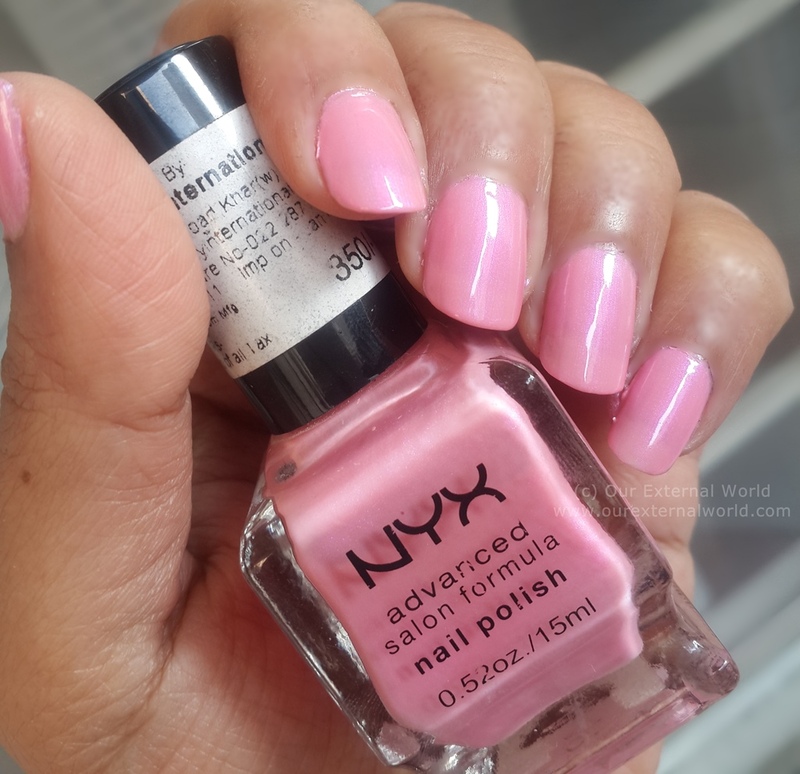 This month I was supposed to recreate the mani of one of the birthday girls and I was looking for a pink polish that was bright yet a soft pink. 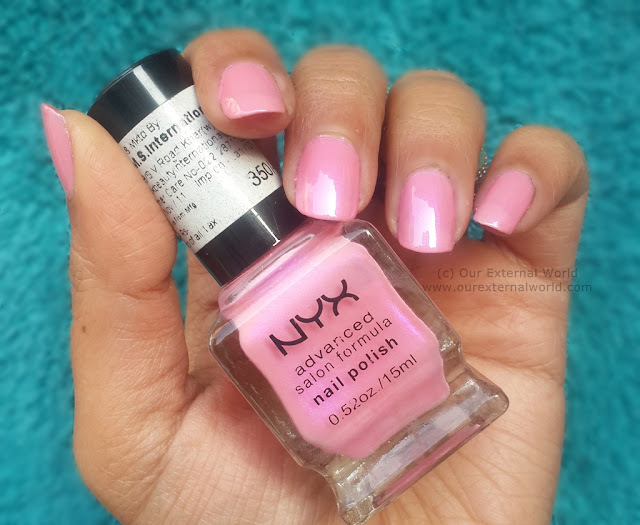 I have a few popping pink colors but couldn't remember having this beautiful pink polish from NYX that I got a couple of years ago. The polish doesn't have a name and is numbered as NPS 227. The pink shade is like the traditional rose pink color with hints of magenta shimmer. It sort of gives it a slight holo effect. The polish goes on smooth and what you see in the pictures are 3 coats of the polish. As you can see the polish has a high gloss finish, dries fast and gives a streak free application. The bottle says Rs 350 for the price but I can't find this online anymore. Have you got any polishes from this range? Looks like a very pretty pink shade. yup, don't know why I hadn't worn this till now !